This pouch style case functions well in a variety of environments including Policing and Security, Warehousing, Manufacturing and Retail. This case is designed using System Wear’s unique, custom made high-density foam material. Pouch-style case feature front pocket to hold extra battery. 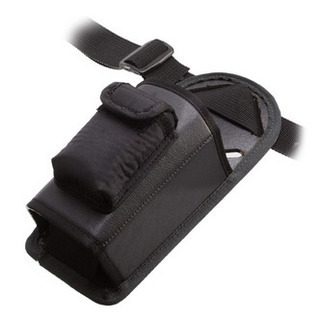 Case rests on hip and provides comfort and easy accessibility. Can be adjusted to accommodate both the MC9090-K and MC9090-S models.